The application for the Japanese Government Scholarships is now open. This scholarship covers a 5-year period of study in Japan for individuals wishing to pursue undergraduate-level studies in the field of humanities, natural sciences or social sciences. Applicants must be between 17 to 21 years of age, have good academic standing and completed at least 12 years of formal education or have graduated from a school equivalent to a senior high school in Japan. This scholarship covers a 1 1/2 to 2-year period of study in Japan for individuals who are interested in conducting research in a field related to what they have previously studied within the scope of humanities, natural sciences or social sciences. Applicants must be under 35 years of age, have good academic standing and completed at least 16 years of formal education. Experience in research work is an advantage. This scholarship is open to teachers (elementary/high school) or academic staffs at a teacher training institution wishing to undergo professional improvement in the field of Education in Japan for 1 1/2 years. Applicants must be under 35 years of age, and have at least 5 years of experience in their terms of service. University instructors are not qualified for this scholarship. 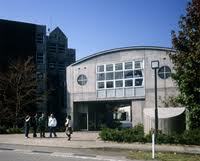 This scholarship covers a 1-year period of studying Japanese language, life and culture. Applicants must be between 18 to 29 years of age, and should at least be in their 3rd year of majoring in Japanese Studies (Language or Culture) in a Philippine university, have good academic standing and proficient in the Japanese Language. This scholarship is open to individuals wishing to pursue a 3-year non-degree program at a Japanese vocational school in the following fields: Civil Engineering, Architecture, Electrical Engineering, Electronics, Telecommunications, Nutrition, Infant Education, Secretarial Studies, Hotel Management, Tourism, Fashion / Dressmaking, Design, Photography, etc. * Applicants must be between 17 to 21 years of age. * Have good academic standing and completed either 12 years of formal education or have graduated from a school equivalent to a senior high school in Japan. This scholarship is open to individuals wishing to pursue a 4-year non-degree program at a Japanese school in one of the following fields: Mechanical Engineering; Electrical and Electronic Engineering; Information, Communication and Network Engineering; Materials Engineering; Architecture and Civil Engineering; Maritime Engineering; etc. Applicants must be between 17 to 21 years of age, have good academic standing and completed at least 11 years of formal education.